Right now you are doing something 58% of Ethiopians would desperately love to be able to do - read. Ethiopia is one of the 25 poorest nations in the world (IMF 2018) and those without literacy or numeracy skills are guaranteed a life of poverty. By 2025, Ethiopia aims to be a middle-income country: a stable and prosperous global leader at the heart of a region in need of a positive role model. The government understands that investment in children's education will be the catalyst to this future, and is well on track to meet its Millennium Development Goal of providing universal access to primary education by the end of 2015. What is going on at The School of St Yared? 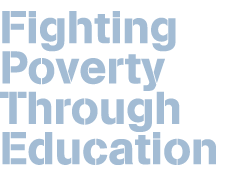 What distinguishes it from other educational initiatives? And why is it so relevant to the global community? Approach is at the heart of the matter. The three sub-cities served by St Yared's, Gulele, Yeka and Akaki-Kality, are among the most disadvantaged in Addis Ababa. Marginalised by a recent history of poverty, famine and the devastation of HIV, these communities have understandably succumbed to a paradigm of survival and subsistence, to a story and system that holds that their future has little promise. Globally, the prevailing response to such complex problems has come in the form of top-down frameworks, such as the UN's Millennium Development Goals. While this is highly laudable, results on the ground demonstrate that access to education alone is not capable of bringing about the kind of transformation required to shift the poverty paradigm to one of community resilience and potential. By contrast, The School of St Yared has striven to create the conditions through which these communities can develop their own capacities to thrive. At The School of St Yared we provide three meals, a school uniform and an excellent education to talented, impoverished children. Our goal is to empower these inspiring students to break free from poverty and to become future leaders of their community. With a curriculum that includes a focus on real-life application, and a nurturing, child-centred environment, the school instills a vital sense of self-value and potential in each student. In turn, the school's intentional, community-based approach ensures that this sense of value and potential impacts the broader community in tangible, meaningful ways. 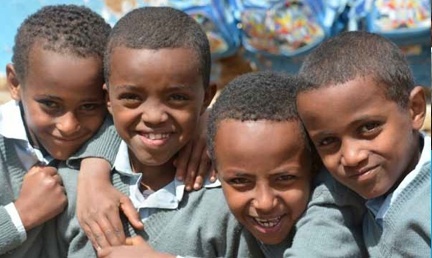 By fostering and making visible the potential of its students, The Schoolof St Yared is effecting a transformation in how the disadvantaged populations of Guele and Yeka see and value themsleves. An atmosphere of vibrancy is growing among these communities, as the students of St Yared's help to cultivate a new, collective understanding of the potential for lasting change. As one community member recently noted, "Because of St Yareds, there is a real sense of excitement and possibility in the community that was not here before." 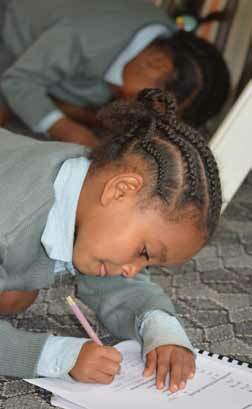 Help create a better future for the children and communities in Addis Ababa by joining our St Yared's community. Make a donation or sponsor a child today.